About 4.5 years ago, Autoblog Green reported on a "Stretch Batmobile" concept being developed by the Dutch that was intended to one day be used for public transportation. Now, that concept has been realized. The Superbus is completely electric, seats 23 people and rides in a dedicated lane to get its passengers where they need to go. Oh, and it goes 155 MPH. 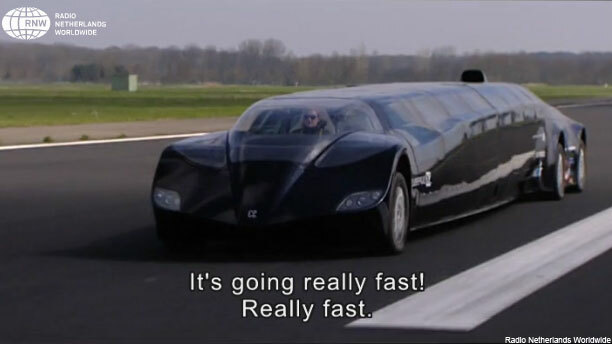 Designed by Dutchman Wubbo Ockels, a former astronaut and professor of aerospace sustainable engineering and technology, the realized Superbus was presented to a group of Dutch teenagers. Check it out in action in the video below. Once again we have to ask: Where is our American version of this?